Hello sweeties!! We lurrrrrve Tuesdays cos the Creative team is back for you craft brides out there! 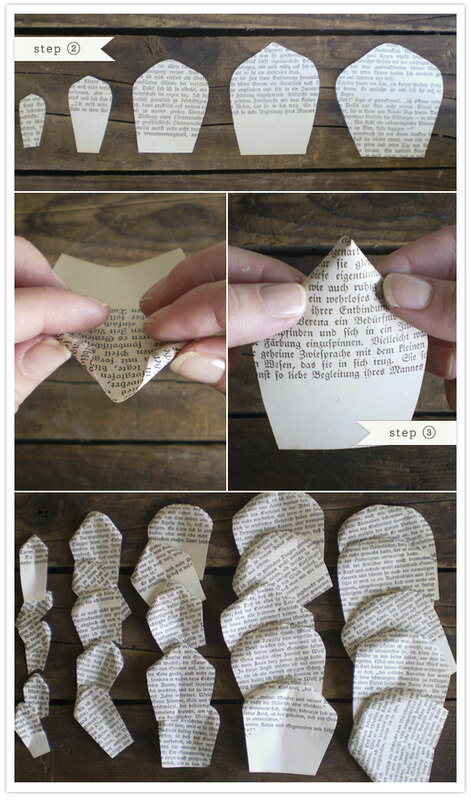 This new project DIY you gona love cos you’re going to need to start tearing pages out from old books tonight! Bye bye old school books... let's recycle em' huhu... 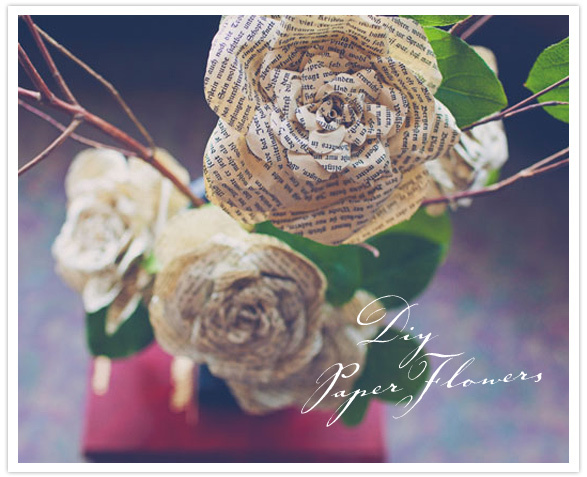 So this time, inspired by the storybook roses from Shanna + Richard’s wedding from 100 Layercake, we thought what could be awesome that to share these DIY secrets with you!? Awesome, right? Kudos to Floral designer, Cathy Brim of Bloom Floral Design for creating the elegant branch bouquets seen in the ceremony using Valerie Lloyd’s paper roses design. Ok brides, lets get those tools and get going! Gather materials. If you are using vintage books or sheet music as your paper source ensure it is still flexible enough to curl with your fingers. 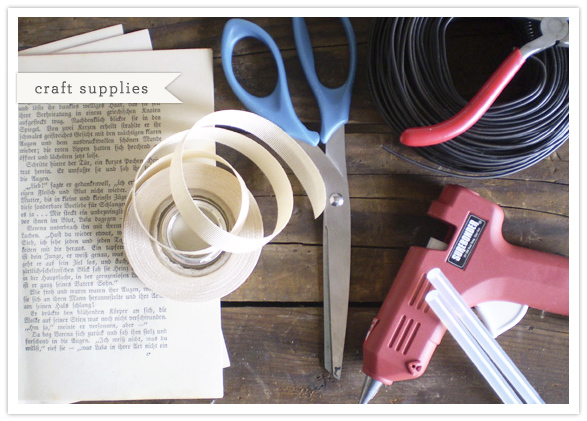 The wire can be found at the hardware store, and is sometimes called “black wire” or “annealed coil wire.” Be sure you are using low temp hot glue because you’ll be able to feel it right through the paper petals as you work. Cutting. You will need to stockpile at least 5 different sizes of petals ranging from about ¾ inch wide to 3 inches wide. Its advised to cut with freehand, and avoid templates, so that each petal is a unique and organic shape. For each flower you will need at least 4 of each size. Some can be pointy, and some can be rounded. Make more than you need. Shaping. This is the most important step to create natural and soft looking flowers. First, roll the edges of each petal, and pinch the base slightly. 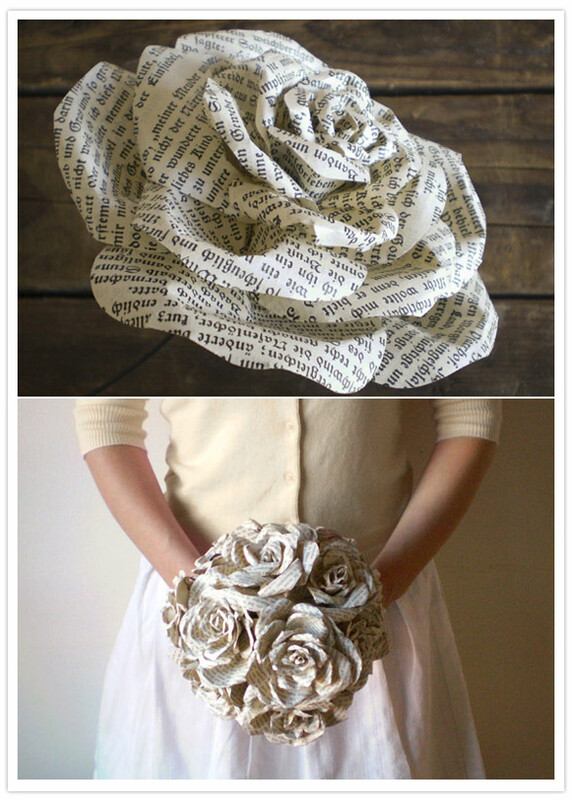 Each one can be done a little differently to give the petals some character and roundness. Its best to shape all of petals before even begin gluing anything. Rolling the center. You need to cut out one more shape for each flower, and this is for the coiled center of the rose. Note that, This shape should be about 2 ½ inches long with a rounded tip. Roll it up into a tube to create its shape. Unroll it and run a bead of hot glue along the inside and re-roll it around the end of your wire. Another dot of glue will hold it in place. Attaching petals. Begin with your smallest petals. Use a single dot of glue, about ¼ inch from the bottom of the petal to attach it to the stem. Your next petal should overlap the first. Continue adding small petals, rotating the stem as you go, always slightly overlapping the last petal you attached. This is where your artistry will come in as you continue to rotate and build. As you begin adding larger petals pinch the bases, as they are much wider. By pinching at the bases you will be rounding out the rose, and creating space between layers. The Finishing. The sepals will be made of ribbon, which will also cover your final seams and create a nice polished look. Each rose needs two – 4 inch lengths of ribbon. Wrap them around the stem and secure to the undersides of the petals. Cut a ‘V’ into each end of the ribbons to finish. Tadaaa!! See how awesome they are! !